Yes, it was that dreadful Daily Mail again, stirring up trouble against the noble occupiers of Palestine, nice peaceful folk doing their best to defend their stolen land from evil Hamas and the Arab scum in Gaza trying to suggest they had a right to live in their own country. Israeli troops, I was to learn to my horror and dismay — how could such a noble racebehave like this? 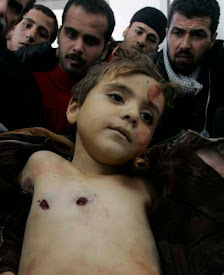 — had killed at least 55 Palestinians in cold blood and wounded almost 2,000 more during protests in Gaza on Monday. The violence had erupted as Donald Trump’s delectable daughter Ivanka opened the new American embassy in Jerusalem — a move that was calculated to case a global outcry. Trump had known this in advance, but went ahead anyway, anxious to curry favour with his Zionist masters — to bring a smile to the face of his Jewish son-in-law Jared Kushner, to please his Jewish ambassador to Israel David Friedman, and, above all, to increase the smirk on the face of that Olympic Smirker of Smirkers, Benjamin Netanyahu, whose smirks only equal the exquisite facial contortions brought to perfection by America’s Zionist Puppet president Donald Trump. “Every country has the right to defend its borders,” Trump barked, without bothering to mention that Israel has no borders and feels it has the right to expand its territories, with remarkable flexibility, into whatever corner of the Middle East it happens to covet. But we were talking about Trump and his penchant for silly smirks. an act deliberately calculated to produce global outrage and bloodshed. Will the horror end any time soon? Of course not! The horror movie has just begun. It began long ago when the Chosen People decided they had a right to relocate themselves from Europe to the Middle East and live on stolen land. Yes, some of them will even claim that this was the land of their forefathers, given to them by Yahweh, aka Tetragrammaton, in the dim dawn of history. But Israeli president Ben Gurion knew better. He knew that the Jewish people had no real right to Palestine, except the right of the strong to oppress the weak, the right to pillage and plunder. Thanks, Moshe! You’re one helluva guy. But don’t expect your brilliant quote to be splashed across the New York Times in the next few days! I did a bit of media checking and came across this. Craig Murray, former British ambassador to Uzbekistan, said on his blog that he did a Google News search for the word “massacre” and found NOT ONE REFERENCE TO GAZA. Wow, you’d think a smart media outlet like the New York Times would recognize a massacre when it saw one! But no, massacres cannot be possibly be instigated by the IDF, the “most humane and bravest army in the world” and — wait for it — an army noted for its “unimaginable restraint? A disgusting CNN headline simply read: “Dozens die in Gaza.” To this journalist Max Blumenthal responded: “Maybe they were old. Perhaps they were very sick. They just up and died! Who will solve the mystery behind these deaths?” Blumenthal later suggested, tongue in cheek, that the Palestinian protestors might have walked into Israeli bullets by sheer accident — shame on these peaceful terrorists for not looking where they were going! What can one say? It is positively obscene even writing about these atrocities and affecting to be moved and outraged from a safe distance. Theirs is the carnage, ours is the emoting. 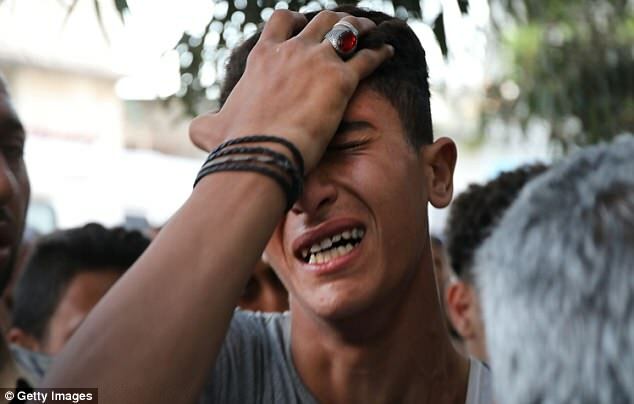 The shocking images of slaughter at the Gaza border are a public relations disaster for Israel. At the very moment the Jewish state is marking the 70th anniversary of its foundation, its government finds itself the target of global outrage. The creation of the state of Israel is a source of profound grievance to many Palestinians, who believe that their people were driven off their own land and displaced into Lebanon, the West Bank and the Gaza strip. In this narrative of despair, they feel they were robbed of their livelihoods and their nationhood through the event known as the ‘Nakba’ or the ‘Catastrophe’ whose anniversary falls today. Tensions were always bound to be high at this period, particularly as Palestinian demonstrators gathered on the border with Israel to demand the right of return to the home of their forebears. But what has really ignited the powder keg is the decision by the White House to move the US embassy from Tel Aviv to the divided city of Jerusalem, which the state of Israel regards as its capital. It is a step that has inflamed discord with the Palestinians, who lay claim to the eastern party of the city and whose Muslim faith has a number of sacred sites within its walls, as of course do Jews. It was the fear of inflaming tensions that prevented a succession of US presidents, including Bill Clinton and Barack Obama, from implementing a pledge to shift the American embassy to Jerusalem. But Donald Trump, never a man to follow political precedent, has ignored such doubts. Trump also has close personal ties to Israel, for his daughter Ivanka is married to Jared Kushner, whose family has donated money to Israeli settlements in the West Bank.